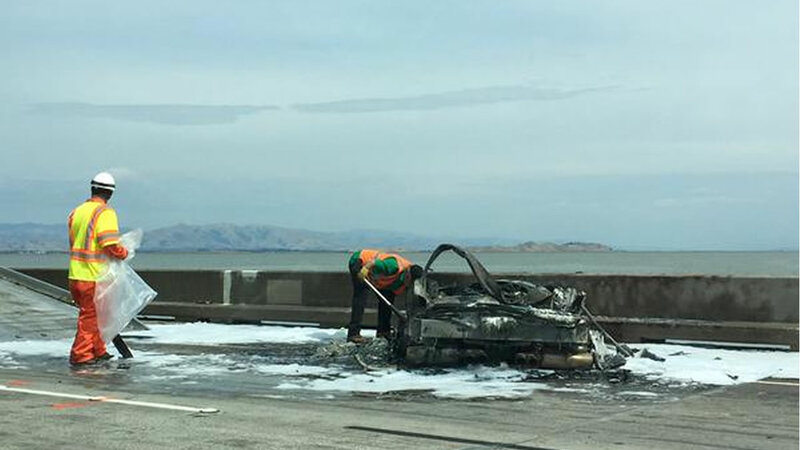 SAN MATEO, Calif. -- A crash led to a car fire on the eastbound side of the San Mateo Bridge Sunday afternoon, according to the California Highway Patrol. The first report of the crash came in at 2:59 p.m., CHP Officer Eric Anderson said. The bridge is part of state Highway 92. Anderson said he doesn't know at this time whether anyone was hurt. The fire was out before 3:30 p.m., according to the highway patrol. Anderson issued a Sig-alert at 3:19 p.m., with one lane blocked. CHP officers do not have an estimate of when the lane will reopen.